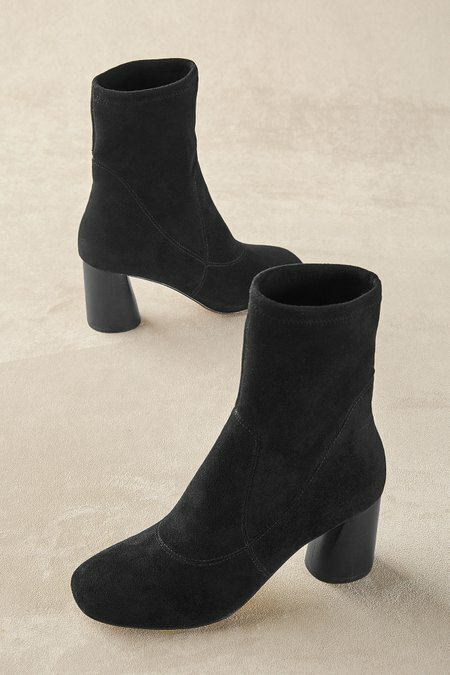 Clean uptown styling makes these sophisticated Gisele booties crafted of luscious stretch suede all the more enticing. A sculptural heel and tonal stitching on the upper keep the look sleek and smart, just perfect for pairing with your favorite autumn and winter looks. 3" heel.